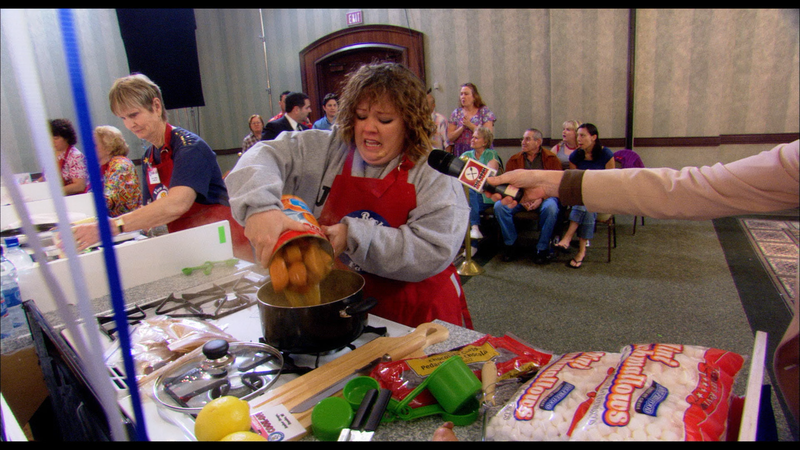 Cook Off is a movie that should’ve remained on the shelf in some darkened room to collect dust and likely only saw the light of day, 10 years later, due to Melissa McCarthy but even on that account, it is saying something this still took 6 years after her star-making movie, Bridesmaids. Plot Synopsis: As contestants prepare for the renowned Van Rookie Farms Cooking Contest, the heat is on to win the one-million-dollar prize. The filmmakers follow them as the foodie media and celebrity judges descend on a hotel convention area to see which contestants’ rise, which ones fall, who will reveal their true nature, and who will find love with the contest’s costumed Muffin Man mascot. 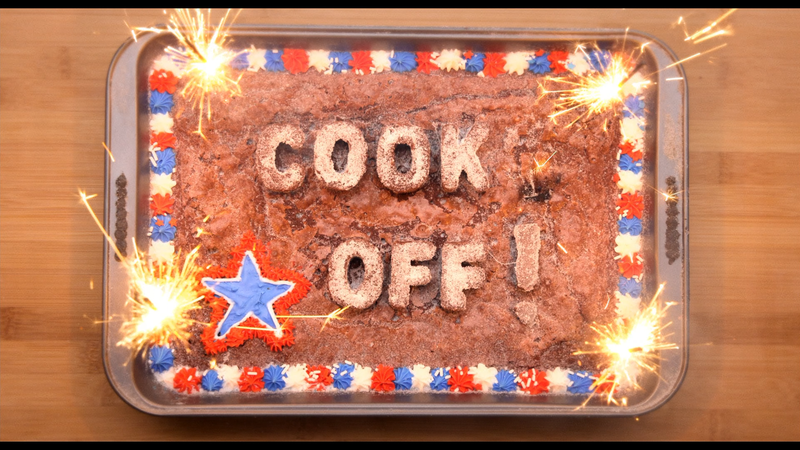 Quick Hit Review: Cook Off, what a god-awful movie and one that was torturous to sit through and it’s no wonder why this remained on some dusty shelf going on 10 years as the movie was filmed in 2006 for a release in 2007. I have no idea why this was made other than, I suppose, to capitalize on the “foodie” craze and the only reason it has seen the light of day is Melissa McCarthy’s star rose only a couple years later with 2011’s Bridesmaids. Seriously, if that terrible cover artwork didn’t already tell you what you were in for, then just avoid the movie at all costs. This release comes with a matted slip cover and has a redemption code for the Digital HD copy. Features include a Cook Off! : The Ultimate Food Fight (14:27; HD) featurette, some Deleted Scenes (13:16; HD) and Outtakes (3:10; HD). Lionsgate releases Cook Off! Onto Blu-ray showing this “film” with a 1.85 widescreen aspect ratio and given a 1080p high-definition transfer. 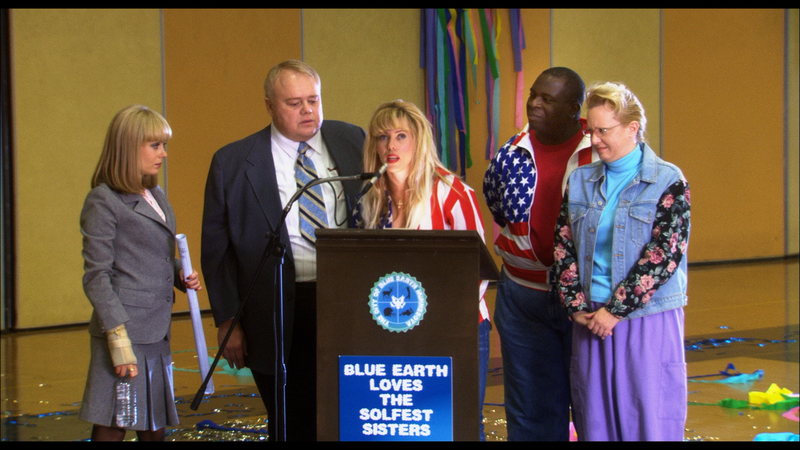 The picture is mostly bright in keeping with the light-hearted nature and detail is relatively sharp even though it was done in mockumentary form (i.e. shaky camera). The provided DTS-HD Master Audio 5.1 track is fine but nothing extraordinary. This is mostly filled with (bad) dialogue which came through the center channel well enough with some usage of the front and rear speakers for the generic score. 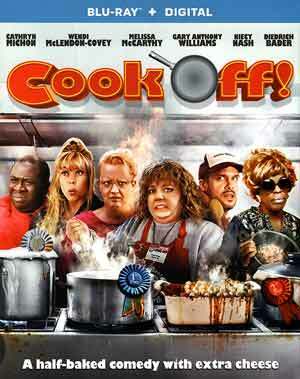 Overall, Cook Off is a movie that should’ve remained on the shelf in some darkened room to collect dust and likely only saw the light of day, 10 years later, due to Melissa McCarthy but even on that account, it is saying something this still took 6 years after her star-making movie, Bridesmaids. Please skip this unfunny turkey.